My friend Andrew Kristoff has Multiple Sclerosis. Andrew is 32 years old and has had MS for over 5 years. 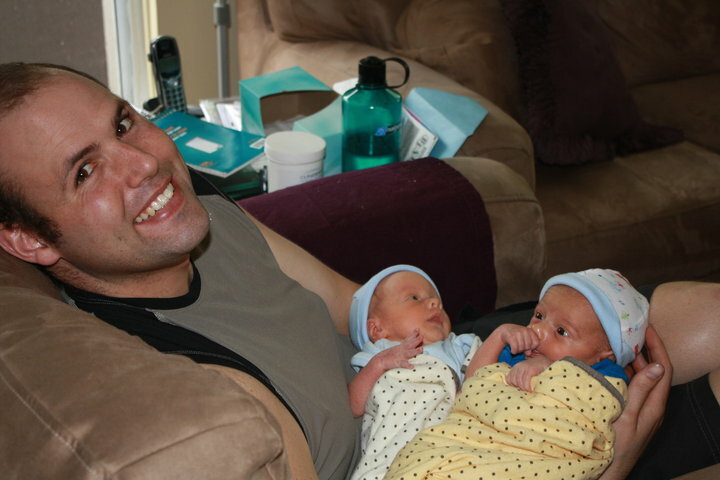 He is a great guy who, with his wife Theresa, has twin 1 year old boys. Andrew hasn’t been able to work for a few years now, he’s an electrician by trade but MS has made it very difficult for him to live a regular life and enjoy the little things like being able to chase his boys around or mountain bike which is a passion of his. Liberation Treatment is a new and exciting development in the fight against MS and has shown amazing results in patients living with the disease. You can get the low down on the treatment here. It isn’t available in Canada but it is available in Seattle and I would like to help Andrew get the treatment so he can live the life he so badly wants and deserves to live. It costs around $7000 and I want to use my social media connections to help him make this happen. I’m asking for your help in whatever way you can. We would love to hold a fundraising event, maybe get some local bands to perform and donate the proceeds from ticket sales, food and drink sales etc to Andrew. We would also need a venue and some auction items or whatever anyone wants to donate. I know everybody says this but Andrew really is one of the greatest guys in the world. Please feel free to contact me with any ideas/suggestions you have, let’s make a difference for Andrew and his family. This entry was posted in Accessibility, children, Seattle, Uncategorized, vancouver and tagged america, babies, blog, Canada, friends, Liberation Treatment, love, MS, Seattle, vancouver. Bookmark the permalink. Hi, I hope your fundraising event raised all the money you needed. If you need to continue your fundraising efforts, there are 2 great sites to check out. One is actually my site. fundraisingideas.com, it is mostly ideas and advice. But there is another huge site on the web justfundraising.com, they have tons of products etc.. lots of them are even free to get started. Check them out. I hope you raise more than you need for Andrew and his family. Hello, I also have MS and live in BC. I have been getting wonderful help for my symptoms from Dr. Wally Mui in Victoria. Dr. Mui is one of the most experienced acupuncturists in Canada and specializes in MS. He has helped 2 patients achieve complete remission if symptoms, one an RN who was in a wheekchair and who I have met. I am sharing this information with others in BC as this a very challenging condition and I hope that otgers can get relief as I have. I am a professional business person from Vancouver and have come to Victoria for Dr. Mui’s treatment. Mine is the first testimonial on his blog at tcmwellness.wordpress.com (if memory seves correct) or google dr. Mui MS. Your friend may also contact me via email if he has any questions. Please do not share my email publicly. Thank you and best wishes to you and your friend.